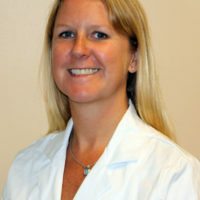 Kristin Dwyer is originally from Boston, MA and completed her EM residency at Boston Medical Center, and her ultrasound fellowship at Brigham and Women’s Hospital in Boston. She has a Master’s in Public Health with a focus in quantitative methods from the Harvard T.H. Chan School of Public Health. Kristin joined the Department of Emergency Medicine at Brown University in July 2016 as emergency ultrasound faculty and fellowship director. She is interested in the use of ultrasound in resource-limited areas, and has spent time in Vietnam, Rwanda, Haiti and Guatemala teaching ultrasound to residents. Her academic interests also include ultrasound research, in particular the use of ultrasound in the emergency department to evaluate for acute right heart strain or VTE.